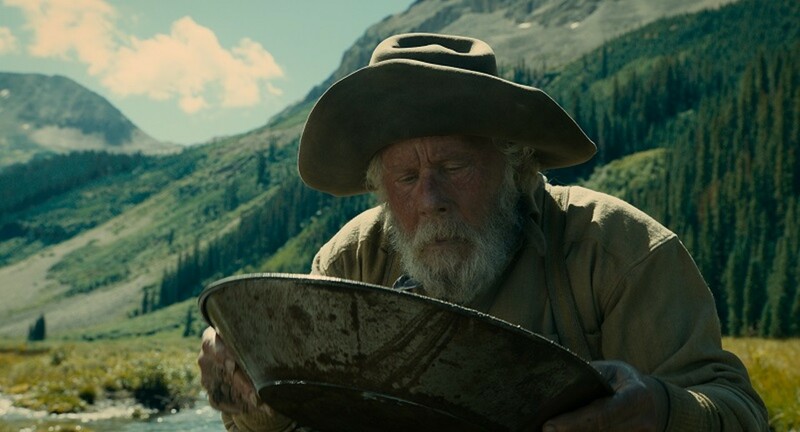 Tom Waits plays a prospector on the hunt for gold in The Ballad of Buster Scruggs. 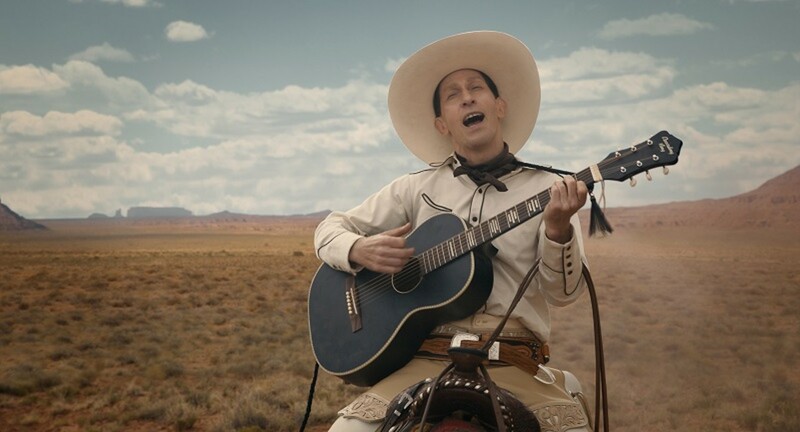 Buster Scruggs (Tim Blake Nelson) isn't your typical white-hat-wearing, singing cowboy. Written and directed by Joel and Ethan Coen. Starring Tim Blake Nelson, Zoe Kazan, Tom Waits and Tyne Daly. Opens Friday, November 16, on Netflix and at the Landmark Tivoli Theatre. Joel and Ethan Coen are nothing if not willfully, gleefully eclectic, whether they're recreating film noir in a Texas border town or a Los Angeles bowling alley, rewriting the Odyssey as a Depression-era comedy set in the South, rewriting it a second time as a drama set in the early 1960s folk scene or simply letting Nicolas Cage run loose as a wild-haired human reincarnation of Wile E. Coyote. They're satirists but have an unusual gift for hiding their comic point of view behind a misleadingly sober veneer. With The Ballad of Buster Scruggs, the Coens return to the Western, a genre they last explored with the somewhat underrated True Grit, their lyrical adaptation of the Charles Portis novel. Buster Scruggs was originally announced as an anthology series for Netflix, but in true Coen style, they've packed the entire thing into a single film, a six-episode anthology of Western stories in a variety of emotional tones: grim, comic, thoughtful and bitter. 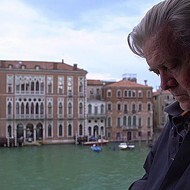 Anthology films tend to be a risky proposition, resting on arbitrary sequencing rather than a straightforward narrative, and are often hampered by the simple fact that the segments may not be equal in appeal. Buster Scruggs draws a luckier hand than most. There's no particular dramatic order at play (the first two episodes are brief and comic, the remaining four considerably less so), but the six episodes, tied together by the pages of an illustrated book of Western stories, unite to form a multi-faceted portrait of life in the unruly frontier. Although the literary framing device reminds us that the American West was almost always as much a collective fiction as a real place, the Coen's West is not the dime-novel world of clean-living, straight-shooting heroes and rough-edged but likable villains. Those stereotypes are tossed into the boneyard in the first two segments. 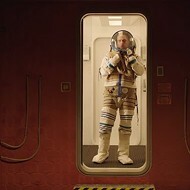 One is a slight shaggy-dog story with James Franco as an unsuccessful bank robber, and the other is the film's prologue, in which the titular Buster Scruggs (Tim Blake Nelson), an insufferable white-suited singing cowboy, wreaks havoc with a Looney Tunes ferocity that recalls Raising Arizona (only bloodier). With pulp heroes and villains so easily cast aside, the remaining episodes take their cues from nineteenth-century writers such as Bret Harte. They are stories of ordinary people facing the struggles of the West with nary a Randolph Scott or Glenn Ford in sight. It's an unusual assortment: A bilateral amputee, accompanied only by his unscrupulous manager (Liam Neeson), shares his oratory skills with settlers for the cost of a few coins. An old prospector (Tom Waits, in an inspired performance that earns him the "Grizzled Old Man" crown last held by Harry Dean Stanton) spends solitary weeks digging holes, panning gold samples and muttering to himself. 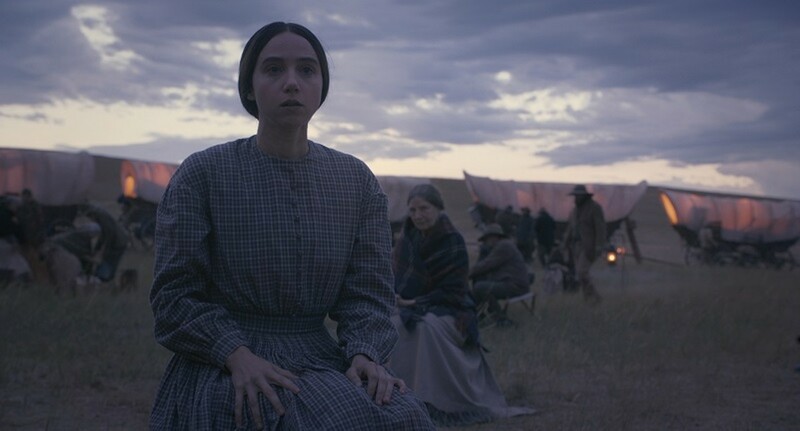 A young woman (Zoe Kazan) finds herself alone without family or prospects on the Oregon Trail. A group of people from markedly different social positions — including a proud matron (Tyne Daly), a trapper and a pair of bounty hunters — discuss morality and the nature of humanity in an uncomfortable stagecoach ride that recalls what might have happened in John Ford's 1939 film if John Wayne hadn't arrived to shake things up. 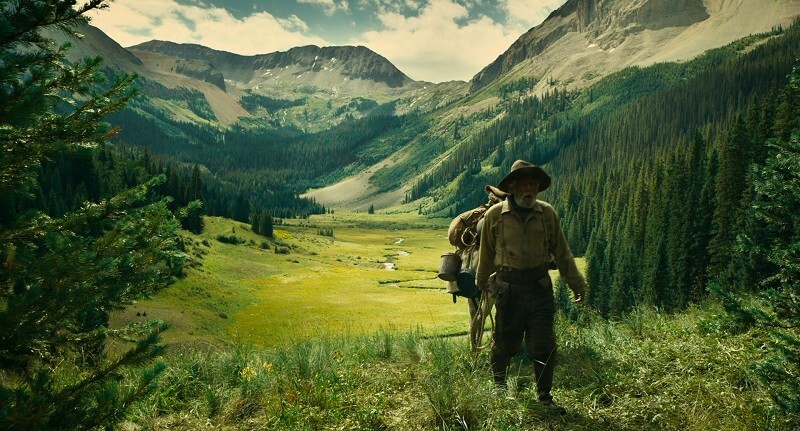 Beautifully photographed by Bruno Delbonnel (this is the first Coen film to use digital photography) and scored by longtime collaborator Carter Burwell, Buster Scruggs nods to a few familiar generic models but doesn't subscribe to any of them. It's not the revisionist West of Peckinpah, nor does it aim for a post-historic reading of the wilderness-vs.-civilization account of Western Expansion. It is also, in spite of its comic moments, a very dark vision. What gives the film a subtle depth and weaves the six episodes together is the Coen's perception that, when you strip away the fancy six-guns and the reputations as embroidered as the shirts of the men holding them, the Western has, to borrow a famous description from Sergio Leone, "something to do with death." Mortality dominates all but one of the episodes, and even that exception (the story of the prospector) is far from a walk in the spring rain. Death is a constant presence, rarely more than a few steps away, and several episodes feel as if they're just a plot twist away from turning into ghost stories. And yet, despite the encroaching sense of mortality, Buster Scruggs isn't morbid or even — for the most part — callously dark-humored. Life can be harsh, unfair and even vicious, but the filmmakers never lose their bemused respect for its many forms. As we've come to expect from the Coens, their version of the cruel and arduous West is tempered by a generous but constantly absurdist view of humanity, of characters who act less from reason than from instinct (and often very bad instinct at that).